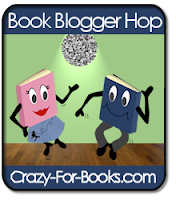 Every Friday I join the hop over at Crazy For Books. I have loved the addition of asking questions to get to know one another. The question this week is - Tell us about some of your favorite authors and why they are your favorites. One of my absolute favorite authors is Jodi Picoult. Every book that I have read of hers is deep and always keeps me hooked from beginning to end. The one difficulty I have with her books is because they are so deep, I can't read more than one in a row! I need a breather and something light. I am beyond giddy that I picked up her latest - House Rules from the library today!! Go check out everyone else's favorite authors over at the hop! Hi, just hopping by. Which Jodi Picout book is your favorite? Already am a follower. love her too! i am hoping to get to Plain Truth soon. I keep hearing how good it is and i am ready to hopefully tackle it soon! I usually love everything by David Sedaris (I know he's not fiction, but he never fails to crack me up). I came by from the hop and became a follower. Stop by if you can. Stopping by from the hop. I have only read My Sister's Keeper, but I really liked it. Have a great weekend! Hopping by on the hop. Just began following you. I live the background header colors at the top of your page. I wasn't familiar with the series below. Looks interesting. I'm just hopping by to wish you a good day and lots of good books. JODI PICOULT!! She is such an amazing author, and one of my favorites as well! House Rules were really great, can't wait to hear what you think! Thanks for stopping by. I like her too. I haven't read House Rules yet, but it's on my summer reading list. Have you attended one of her book signings? She's very sweet in person.